Accidentally Deleted Files on Your iPad? Accidental deleting iPad data becomes a common problem for people who are likely to use iPad to store their important files. So it's necessary to make backup of those iPad data regularly for the sake of deleting or losing the data accidentally. The simplest way to backup iPad data is to use Apple's own iCloud or iTunes backup system. With this backup solution, what you need to do is plug your iPad into computer to sync with iTunes. 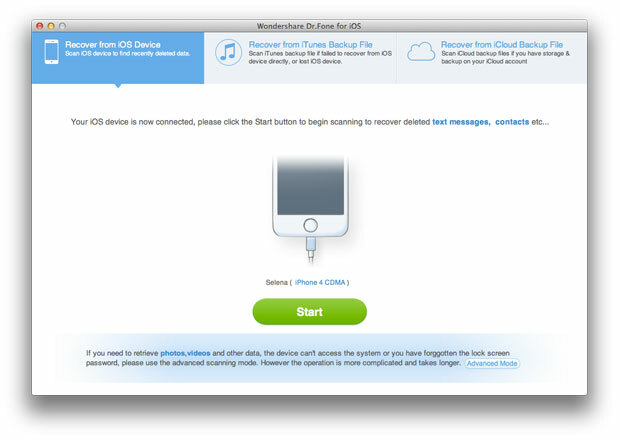 For iCloud, you need to sign into your iCloud account to enable iCloud backups. Can I Retrieve Deleted Data from iPad without Backup? However, what if you lost the files on iPad before you had a chance to make a backup via iCloud or iTunes? Don't worry. 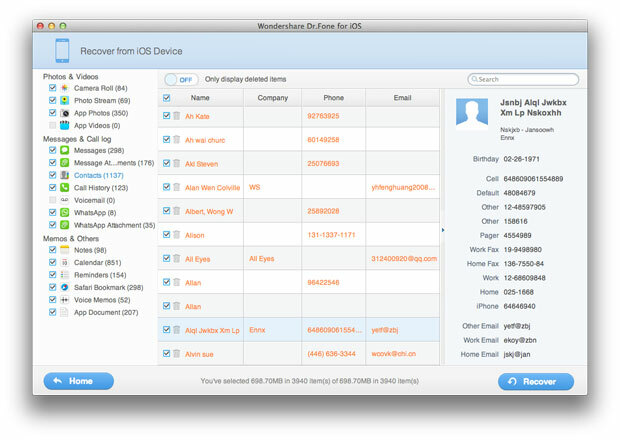 You can still recover the deleted iPad data by using the 3rd party data recovery software provided below without backup. 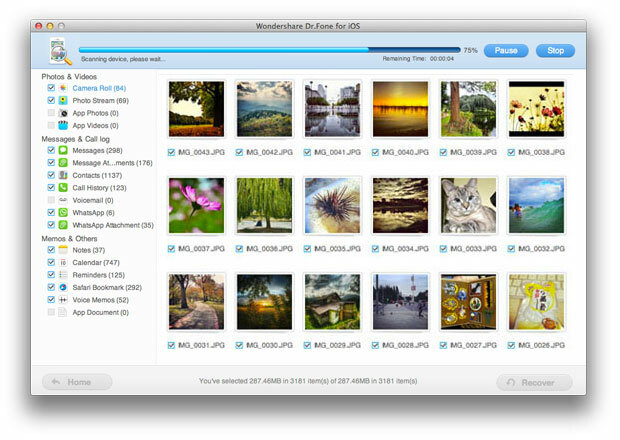 iOS Data Recovery for iPad (Mac & Windows), also called iPad Data Recovery, is the world's no.1 data recovery program for iPad to recover lost data, including deleted photos, videos, notes, messages, bookmarks, apps, etc on all iPad models, such as iPad Air, iPad mini with Retina Display, iPad mini, iPad with Retina Display, New iPad, iPad 2 and iPad 1. With this iPad data recovery, you can recover all lost iPad files by extracting the lost files from iPad backup. * Please note that both Windows and Mac versions of iPad Data Recovery work in the same way to retrieve deleted data from iPad. Connect iPad to computer and the program will begin to detect your iPad automatically. If you are using iPad Air, iPad min 2, iPad with Retina display, iPad mini, the New iPad or iPad 2, simply click "Start" button to let the program scan your iPad files. • Release the "Power" button while keep pressing the "Home" button for another 15 seconds. When the scan is over, you can see all found data of your iPad. Then you can choose the files you want to recover and restore them by clicking "Recover" button. • How to Recover Lost Data from iPad? 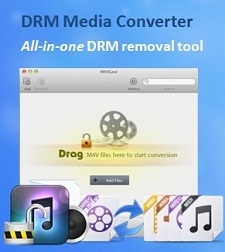 • How to Retrieve Deleted Videos from iPad? • How to Restore Deleted Safari Bookmarks on iPad? • How to Recover Deleted Notes from iPad without Backup? 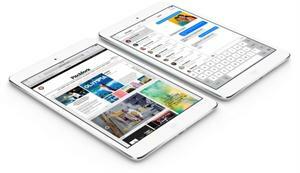 • How to Recover Lost Data on iPad mini (Retina Display)?